Lounge-book is the most imited ergonomic laptop desk. 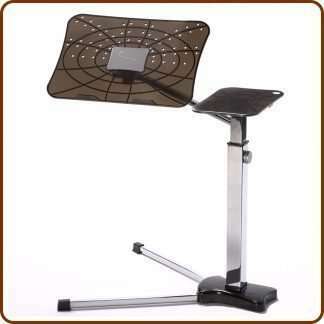 Use your laptop on armchair, sofa, lounge-chair, as a traditional desktop expressly designed for mobile devices. Lounge-book is designed with an innovative concept of “Suspension” that allow to find always the correct position. 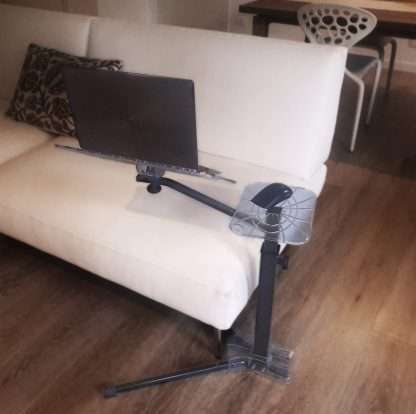 With Lounge-book you can stop poor posture, using laptop computers at home. All Lounge-tek laptop desks , have the same functionalty, they differ in the finishes, in order to adapt to any type of furniture and meet any taste and Style. Fully adjustable: laptop tray 360° rotation, 35° tilting, height regulation. 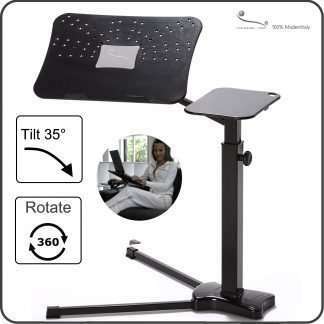 Find always the correct posture to get an ergonomic and comfortable laptop desk. Metallic structure by powder coating adjustable height. Color Gray. 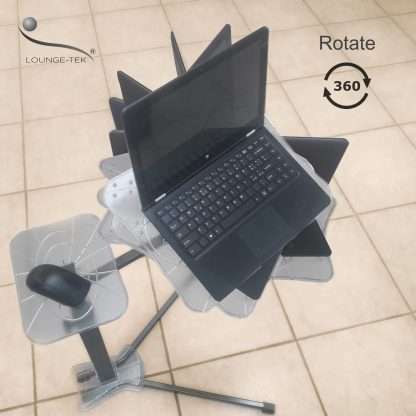 Lounge-book is symmetric: you can hold an external mouse on the mousepad from left and right, simply rotating 180° the structure and laptop tray. Ergonomic knobs to adjust height, tilt, rotation, are made by plastic materials. Color Anthracite. Total Weight of the Lounge-book 5 kg (don’t requires wheels to move and slide under most of furniture). 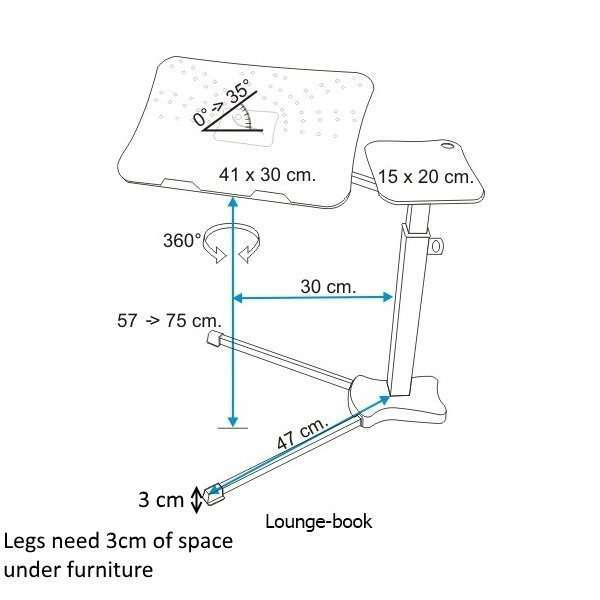 We suggest for Lounge-book Standard to support Laptops up to 17″- 18″ , max weight 3,5 kg. Metallic structure is composed by two sliding elements to regulate an optimal height of the laptop-tray starting with a minimum height based on the European standard furniture. 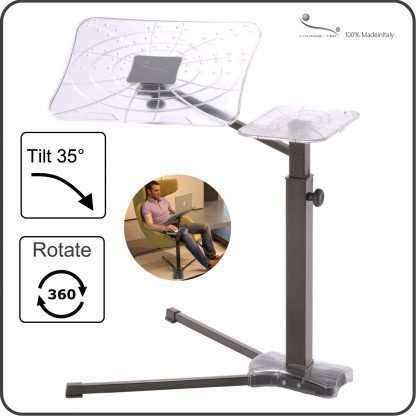 The laptop-tray is also able to rotate 360° and to tilt 35° in safety mode, this feature allow to use your Laptop ergonomically with a correct posture. 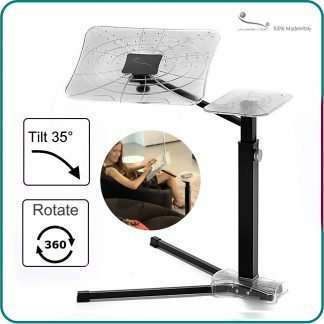 For example you can use the Laptop on your armchair either from the left or right side, transforming your armchair in a perfect laptop desk. 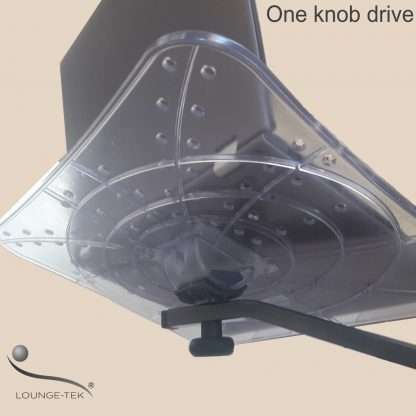 The”legs” are robust enough to support the structure, and also thin enough to slip easily under most beds, armchairs, sofas (you need only 3 cm of space). 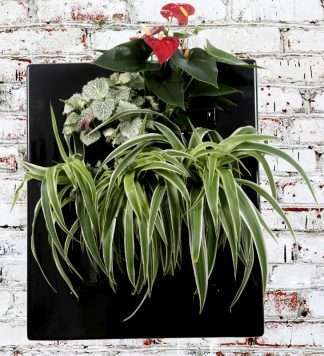 The product is provided with an easy mounting kit that reduces logistics costs and his environmental impact. Versatile, Fully Adjustable, more stylish with the new Polycarbonate Laptop tray. Ziehe in eine 1-Zimmer Wohnung. Nutze den Tisch gerade. Und sitze im Fernsehsessel. Mein privater bisheriger PC-Arbeitsplatz kann daher jetz wegfallen und außer dem Notebook auf dem Tisch gib es nur noch einen WLAN-Drucker. Perfekt. Der Preis wird durch die Qualität gerechtfertigt. Ohne Abzug bei den Sternen, Sie sollten nicht mit diesem Tisch und einem Notebook richtig Arbeiten! 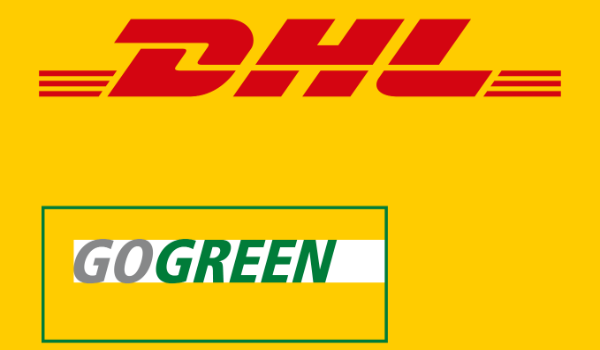 Geht auf die Augen (unvermeidliches Wackeln). J’ai hésité comme bon nombre d’entre vous qui vous retrouvez également sur cette page produit entre les différents autres supports pour laptops avec ou sans roulettes, en plastique, bois, beaucoup moins chers etc. – Finalement les roulettes auraient été une erreur, en effet, quand on trouve la position idéale avec ce support (position qu’on adapte simplement en serrant la molette de réglage sous le plateau pivotant) on a pas envie que le support se fasse la malle par un geste malencontreux (coup de pied ou appui trop poussé sur le support). Les molettes ne seraient jamais passées sous mon canapé. – La société qui le fabrique dit que c’est un produit “éco-responsable”, où les matériaux employés ne sont pas toxiques ni pour le client final, ni pour ceux qui les fabriquent. Un petit “plus” pour ceux qui en portent le souci. – Pour les gauchers comme pour les droitiers. Ce produit est également livré avec 2 pads de gels qui peuvent se coller sur le plateau afin de faciliter l’aération de votre laptop. Personnellement je n’en recommande pas l’usage. Simplement car le plateau présente déjà des trous à cet effet, et deuxièmement car une fois les pads placés et le plateau incliné fortement, il se peut que votre laptop ne soit plus assez retenu par les ergots en plastiques censés le prévenir d’une chute. I used this everyday. In fact, I am writing this review from it. It makes casual browsing from the sofa easy. 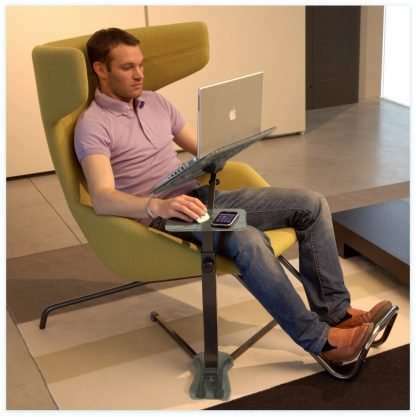 I also use this on occasions when I am working from home and want a different environment from sitting in the study. 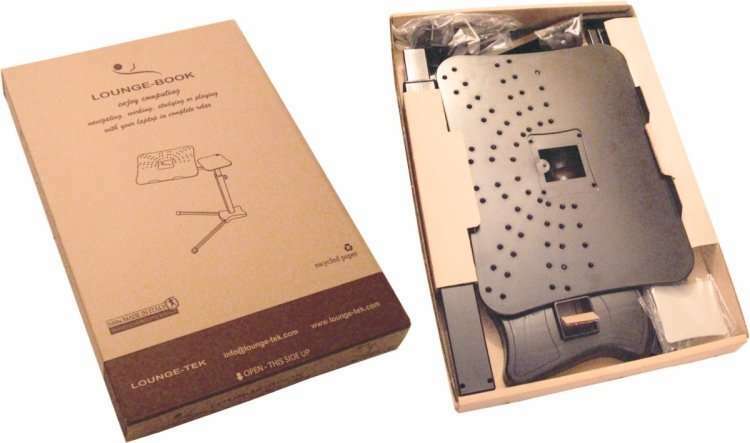 Its really sturdy, adjusts well and has amble room for a mouse (and a glass of wine, if you are working into the evening :P). 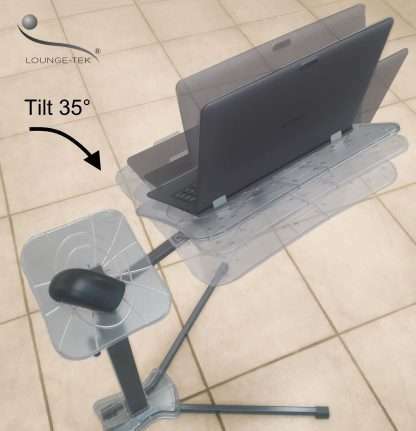 This is a great product, we ordered one for my husband and he uses it to work from home instead of sitting at a desk. 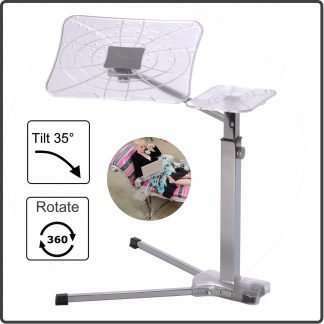 It is comfortable to use, easy to adjust and was easy assemble. It is lightweight but still feels substantial and stable. He uses the mouse part to place his drink, mainly. We liked it so much we got another as a gift for a family member who is also super happy with it. The company was kind enough to coordinate delivery around arriving on a particular date for a birthday. You did all right except that I was under the impression, that the product was made out of aluminium and not steel. My mistake, I have to admit.